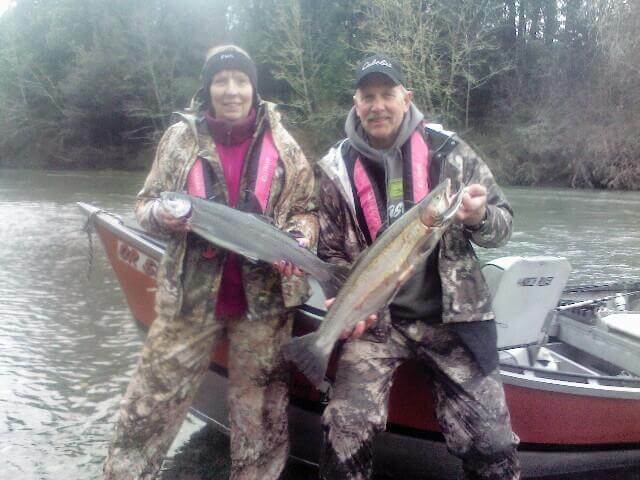 Fishing report 2/20/19 the Nagles from Eugene with 2 nice steelhead.fishing is still good and will be through march so get your tripbooked today! 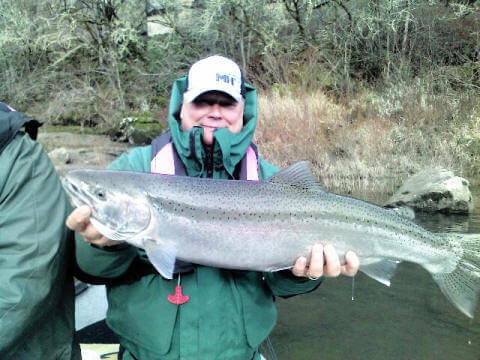 Jim T. with the first Winter Steelhead a nice 9lb hen. We will be after them till the 1st of may. So get your trip booked now! 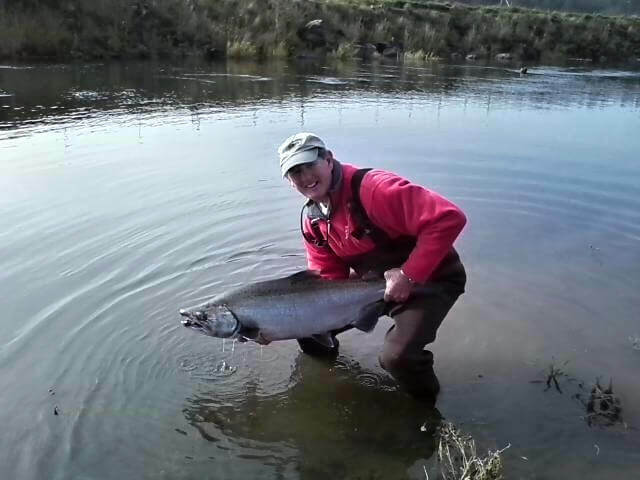 November 21/2018 Happy client with a nice fall chinook he caught with 9wt fly rod on sixes river we hooked 5 fish to day his partner lost 2. 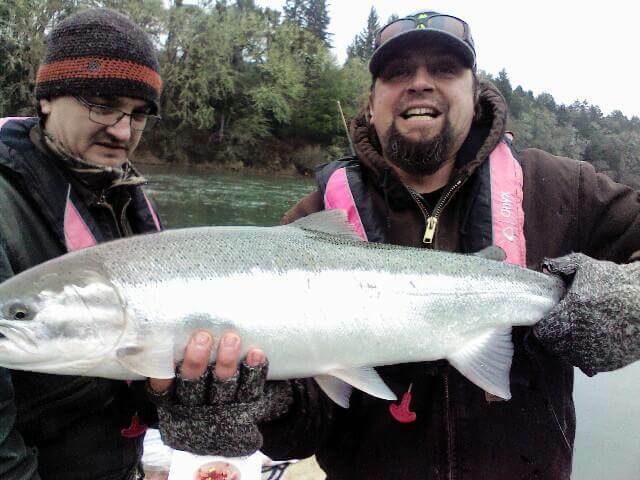 We are now looking forward to winter steelhead.so get your trip booked. 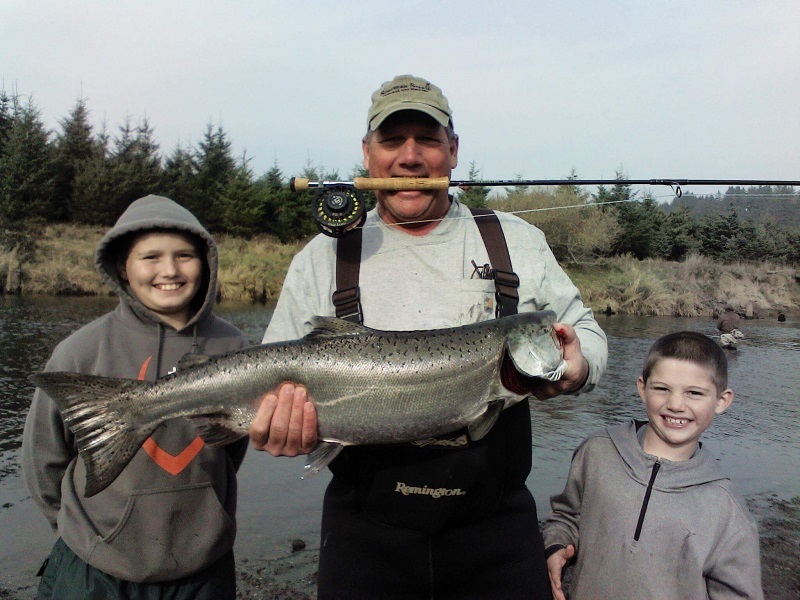 September 10th we are fishing Fall Chinook on the Umpqua River and it is slow. We’re hoping it will pick up. 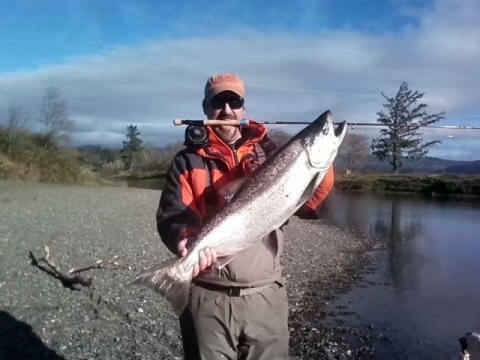 Now is the time for fly fisherman to book your trip for the Elk and Sixes Rivers so you can hook some big Fall Chinook on a fly rod. 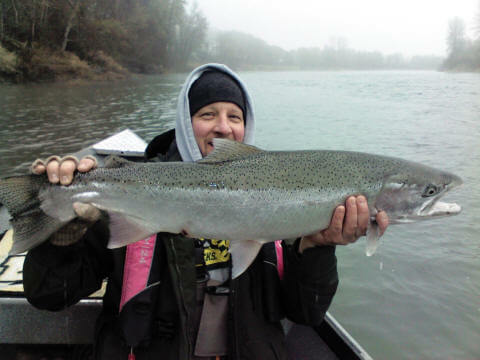 2/21/18 Fishing for winter steelhead is going strong. 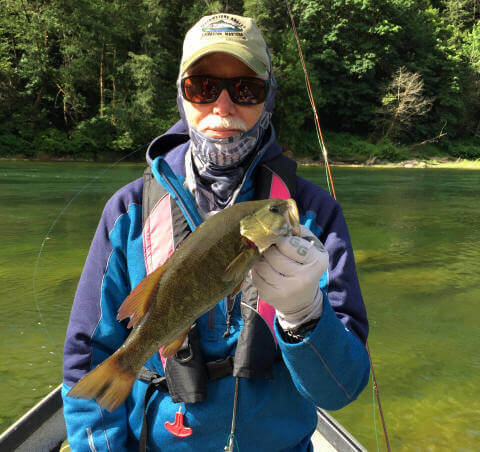 We got this nice fish yesterday and there is a lot more to come. We will be after them till the end of April. 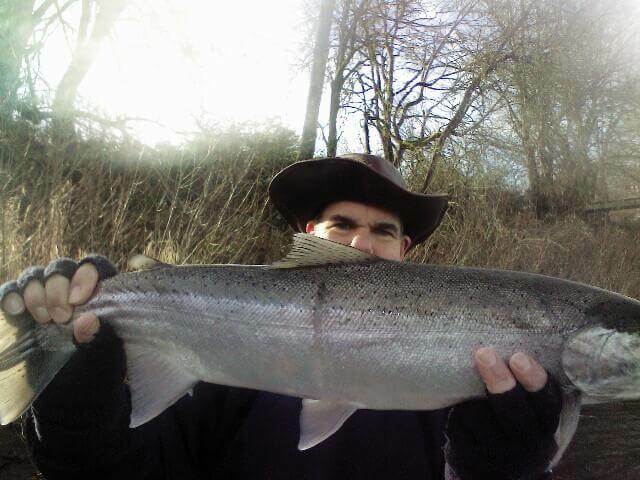 We landed this nice steelhead yesterday along with 3 other fish so it looks like fishing is going to be good for the next few months. 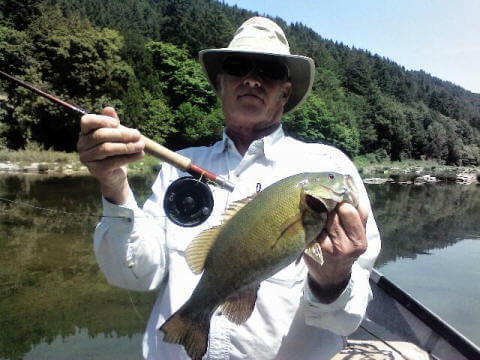 We will be catching fish by fly fishing and using bait and it looks to be good so book your trip soon.